Somewhat overdue, gold rebounded slightly on bargain hunting yesterday, recovering $11.5 to $1,575.8. The move came despite a strengthening of the US dollar, with division among Fed members making investors realise that the optimism of the last few weeks might have been overplayed. Overall though, the sellers still look to be firmly in control for the time being. The release of the weekly US stockpiles report showed a larger-than-expected build in crude oil inventories, with a gain of 4.1 million barrels compared with forecasts of 1.9 million barrels. Consequently, US crude fell by $1.87 to close at $92.91, with the move being accentuated by a strengthening dollar and a slump in equities. The decline in the gold spread trading market gathered pace yesterday, with the precious metal losing $40.4 to reach $1,563.4. The initial move below the $1,600 mark attracted additional sellers, with a stronger dollar playing its bearish part. It seems that gold is so out of favour at the moment that not even a disagreement among policy makers could trigger a price recovery. After all, those Fed members who called for a sooner reverse in the QE might have been thinking about inflation. A rebounding US dollar and weaker equities drove oil futures lower yesterday as US crude prices tumbled $2.46 to close at $94.60. There were also widespread rumours that a major fund is liquidating its long positions. Importantly, the US will release its weekly inventories report today, a day later than usual because of the Presidents Day holiday. In commodities spread trading, gold resumed its plunge yesterday, losing $5.4 to $1,603.7, on the back of increasing optimism that the economy is getting better and inflation is not just around the corner. However, the $1,600 mark has proved to be good support in the past and the precious metal did rebound slightly towards the close. That rebound is continuing this morning, with the gold market trading marginally higher at the time of writing. Along with other world markets, gold traded in a tight range yesterday, finishing unchanged at $1,609.2, a settlement low since mid-August last year. The gold chart is pointing firmly downwards, with the next support around the $1,600 level. The WTI crude prices extended their losses yesterday, losing another $0.30 to reach $96.01 a barrel. Amid very low volumes due the Presidents Day holiday, it didn't take a lot of profit taking to move the price. From a crude oil analysis point of view, the short-term sideways movement remains in place, with the medium to longer-term trend still firmly bullish. 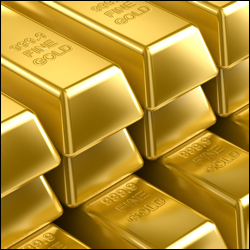 Following another set of mostly positive economic data in the US, golds role as a store of value was eroded again on Friday. The precious metal nosedived below the psychologically important $1,600 mark for the first time since August last year, before rebounding slightly to end $24.4 down at $1,608.5. Its short and medium-term outlooks have both shifted to bearish, with the moving averages all pointing downwards on the gold charts. US industrial production posted a 0.1% decline versus expectations of a 0.2% rise, which immediately triggered worries about energy demand going forward. At the same time, a separate report showed a drop in European exports, questioning oil demand even more. As a result, the price of the WTI crude oil spread trading market plunged $1.39 to $96.46 a barrel, effectively giving up the weekly gains. Gold closed at $1,632.8 yesterday, dropping by $8.4 and adding to its woes as the worst performing metal this year. An improving US and Chinese economy curbed demand for the precious metal as a traditional safe haven and overshadowed any concerns in Europe regarding Germany and France's lower GDP figures. Investors are very well aware that they can get better returns elsewhere in the light of persistently improving global economy figures. This is weighing on gold to such an extent that hedge funds have cut positions on higher prices by 56% since October, according to government data. All eyes are now on the outcome of the G20 meeting and its impact on the currency markets to gain fresh trading cues. After some promising signs, it appears that the United Nations nuclear inspectors failed to find consensus with Iran, raising fresh concerns about peace in the Middle East. At the same time, the numbers for unemployment benefits in the US were better-than-expected which confirmed that the sector is on the right path. Consequently, the price of Nymex crude oil moved up by $0.18 to $97.31. Gold prices posted another slump yesterday, losing $9.6 to $1,642.2, despite a fairly unchanged euro-US dollar exchange rate and limited profit taking in shares. As experienced twice in the last two months, when the gold market slipped towards $1,640, it attracted some bargain hunters. At the time of writing, they have already managed to stage a slight recovery. The US released its weekly inventories report which showed an increase in oil output to a 20 year high. That sent WTI crude oil futures lower, closing $0.39 down at $97.15 a barrel. News that Iran is making progress in its negotiations with the United Nations nuclear inspector also reassured the energy complex that the conflict premium might weaken. As North Korea conducted its third nuclear test, some investors moved into safe haven assets, pushing gold prices $3.1 up to $1,651.1. The rebound was fairly limited however, as overall investor sentiment is rather optimistic. This works against the precious metals as participants move into riskier assets. The Organization of Petroleum Exporting Countries upgraded its monthly forecast for oil demand by 0.3% to 29.8 million barrels. The reaction was a rally of $0.62 in WTI crude oil, with the market closing at $97.54 per barrel. However, the chart shows sideways movement for the last two weeks within a $96.00 - $98.30 trading range. The gold spread trading market closed $19 lower at $1,648.1 yesterday, reaching its lowest level in more than a month after technical selling and holiday-thinned volumes took their toll. Even at these levels, the precious metal failed to attract much buying interest and that was despite news of North Korea's underground nuclear test. Investors are now waiting for the outcome of this week's meeting of G20 finance ministers and central bankers. Any announcements from here could significantly affect the FX and commodity markets, especially if the Eurozone's debt problems are seen to be worsening. At present, even a lower US dollar has failed to spur bargain hunting in gold and this might be due to the recent climate of optimism regarding the improving global economy. Bullish comments from an ECB official sent market participants out of the US dollar and back into riskier assets. This encouraged the price of US crude oil to post a rebound of $1.19 to $96.95, crossing back above the 9 day moving average. Going forward, US crude prices will probably continue to be driven by the stock market and dollar, possibly more so than the old supply and demand equation. Gold closed $2.7 down at $1,668.3 on Friday and this morning it saw a slight gain despite a volatile euro. At the moment, the sentiment is that there are few influences on the precious metal's price apart from currencies and the price of oil. A stronger US dollar makes gold more expensive for holders of other currencies, while rising oil prices make gold more attractive as a hedge against inflation. As a result, the metal continues to trade within a tight range. Record oil exports in the US not only helped bring down the trade deficit but some are now talking about energy independence. WTI crude oil lost $0.12 to $95.76 a barrel on Friday, pressured by a rebounding dollar and discarding heightened expectations for the US economy which would support energy demand.